HMAS Ballarat sails through Cockburn Sound on her return to her home port of Fleet Base West, Western Australia, at the completion of a four month South East Asia deployment. Image via Commonwealth of Australia, Department of Defence. Western Australia may have missed out on securing the bulk of Australia’s upcoming shipbuilding work, but the state’s Minister for Defence Issues is confident more work will follow soon. 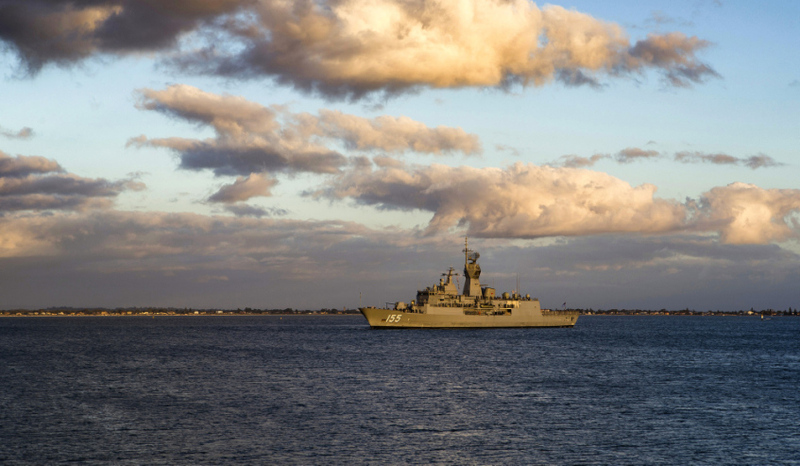 Speaking to Defence Connect, Minister for Defence Issues Paul Papalia said the state's proximity to the Indian Ocean will enable the state to be more engaged with other countries in the Indian Ocean region. "'Western Australians ... they complain a bit about being left out," the minister said. "What I would say now, it's an exciting time for defence but it's also an exciting time for Western Australia. We are on the Indian Ocean. We're the only state that looks to, when we look out to sea I say to the Indian navy people I meet and Indian diplomats that I meet on occasion, that when we look out to the sea, we look over the same ocean as the subcontinent, as many people in Africa and right across the Asian archipelago to the north. "We are very much more engaged and aware of the Indian Ocean and that part of the world and geopolitical implications of that part of the world, just by necessity, by virtue of where we are and also by virtue of decades of engagement through trade. We are deeply embedded in that part of the world." The former Navy diver said the state is already looking to expand its business opportunities from mining to defence industry with countries it already has strong business ties with, including in Africa and Asia. "It's very important to us that we get people to think about where our defence force is operating, about what areas of operations they might in the future be operating, how we can engage with another whole part of the globe, and how important it is for us to engage, and the opportunities that we have also to leverage off our already deep engagement through commodities. We've been trading with Africa. [For] Western Australians, Africa is not a strange place," Minister Papalia said. "Many of our companies operate mining operations or mining services in Africa. Every year in Perth we have a conference called Africa Down Under. 3,000 African delegates come to Perth every single year. When I took office and got this role, and one of my roles is citizenship and multicultural interests, I was meeting the honorary consuls and the consuls and I learned a little more about this particular conference, and it occurred to me, and partly because I've got all these diverse portfolios, there was a lot of opportunity to use that deep engagement that we already have in one particular field of endeavour to engage in others. "I would look at this and say, 'well, why aren't we talking to the same people or the same governments or the same businesses about other opportunities, other fields that we might be able to provide support or equipment or training or services?' Clearly defence industry is one of those. There's no reason why we shouldn't be talking to those people about that subject as well as mining services. "Similarly the subcontinent, Middle East, Asia ... Western Australia is the place where most of the iron ore goes to Japan and China from. Most of the LNG goes from Western Australia. By roughly late next year or early the year thereafter, Australia will be the biggest LNG exporter in the world and more than half of that LNG reserves will be resident in Western Australia. We have the opportunity to use that fact in our endeavours with respect to the defence industry as well." The newly established Defence West office has been given $320,000 in funding by the state governing for establishing a new Indian Ocean Defence expo and conference to rival that of Sydney's Pacific conference, targeting more defence opportunities in the Indian Ocean region.